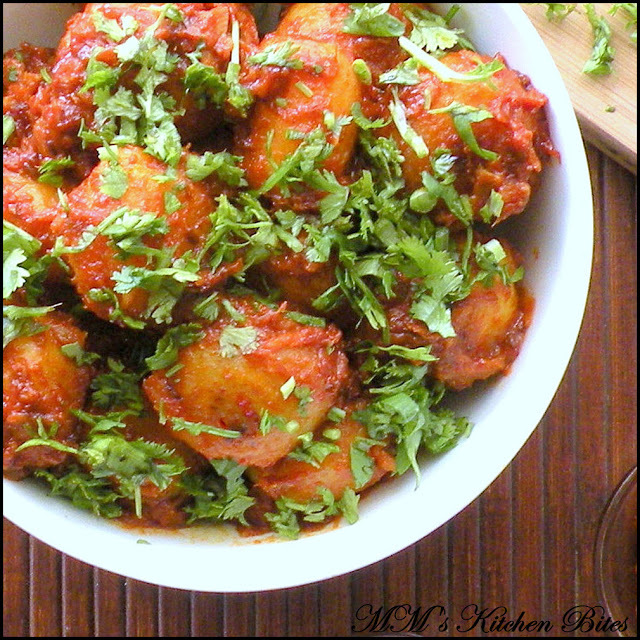 Home Indian Tomato Tamarind Potatoes……breaking the spell!! 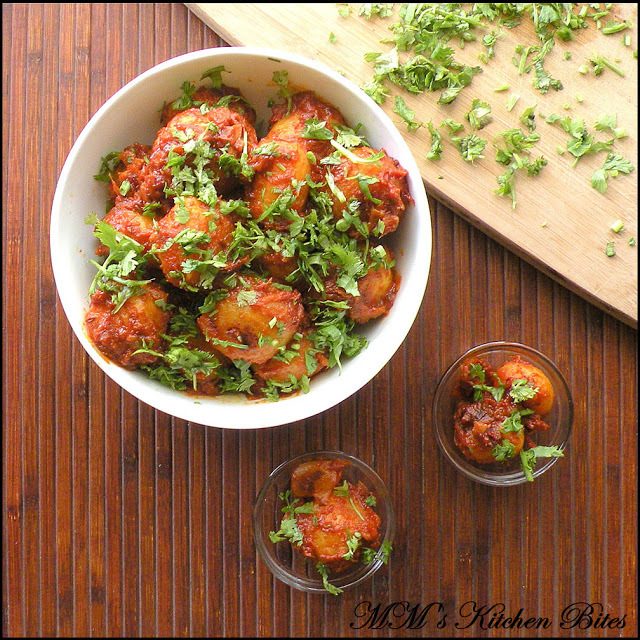 Tomato Tamarind Potatoes…just what I needed to stop my craving for Jhal, Tok and Churmur after this visit to Kolkata (if you don’t know what I am talking about, you are lucky cause you don’t know what you are missing!! )…the trip which was supposed to be three day break turned into ten day break with us cancelling and rescheduling flights every alternate day!! !…trip to Kolkata is supposed to be about family and spending time with them (my in-laws live there) but ends up being about food, food and more food every single time…even if I tried I cannot possibly list down all the stuff that we ate and of course even if someone puts a gun to my head, I will not list down how much we ate!! !…as always getting back into the kitchen after a vacation is really really really really really tough for me…third day back and we are still ordering takeouts for lunch and dinner…had to break the spell…I made this while waiting for lunch to be delivered…real life starts from today. Wash and scrub clean the potatoes. Boil with salt added and skin on till tender but not mushy. Peel the skins and prick the potatoes with a toothpick. Heat half of the oil in a skillet and add in the potatoes. Toss around till the outer layer goes crispy and bits of gold appear.Take out the potatoes and keep aside. Heat the remaining oil in the same skillet. Add in the cumin seeds and once they start spluttering, lower the heat to minimum and add in the tomato puree. Be prepared- lots of spluttering to happen the second you add tomato puree…so be careful and cover the pan if need be. Let the tomato puree cook for a minute and then add in the ginger paste, coriander powder, red chili powder, Kashmiri red chili powder. Mix well and cook till oil separates. Add in the water, sugar, salt (take into account that potatoes have already been boiled with salt added) and tamarind pulp. Let the mix come to a boil and then simmer till it reduces to about half the quantity. Taste and adjust seasonings. Add in the potatoes and mix well so that the potatoes get well coated with the mix. Cover and cook for about 5-7 minutes. Remove cover, stir and increase the heat to high to dry out almost all the water from the masala paste. Done!! 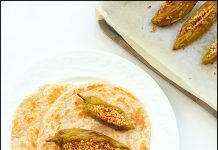 Serve at room temperature (if you have the patience!! ), garnished with lots of fresh coriander. Previous articlePindi Chana…where we came from!!! Next articleL2 (Lime and lemongrass) Chicken…no rambling today! !